This beautiful piece of POP NOIR was made by mysterious duo Pocon Attis and Lugtmeyer. We were immediately impressed by the dark sounds of ‘Momma you almost crashed us’. 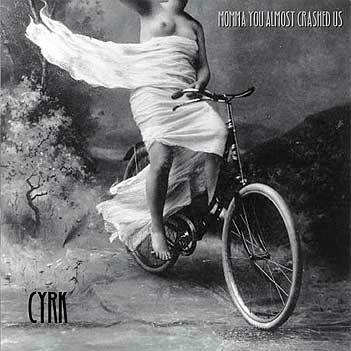 Pocon Attis is a great singer, the music is addictive and we’re pretty sure you never heard anything like CYRK before. Written, recorded and produced by Lugtmeyer & Pocon Attis. Click the arrow on the right side of the player to download this song. This entry was posted on August 24 2011 by ̸̬̬̦̦̖̤̾ͥTƯ͖͈̓͗̌̊ͫP̴̟͇̜̩̱̄͞ ̧͚̙͓͔̭̉̍ͭ͌̋͆̎ ̤̭̑ͧ̐F̵̢̧̹̥̹̪̲ͭƯ͖͈̓͗̌̊ͫ ̤̭̑ͧ̐Ċ͇̝̗ͤKƯ͖͈̓͗̌̊ͫP̴̟͇̜̩̱̄͞S ̆̽̆ͭ͂҉̼̝͍̜̫̜-. It was filed under archive .